September 2016 has disrupted the telecom industry by offering aggressively priced recharge plans with features such as high speed internet data and free voice calls. Rs. 10 recharge plan: Reliance Jio's Rs. 10 recharge plan offers talktime of Rs. 7.70 and comes with unlimited validity, according to its website. Rs. 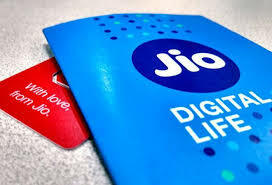 50 recharge plan: Reliance Jio's Rs. 50 recharge plan offers talktime of Rs. 40.48 and comes with unlimited validity. Rs. 21 recharge plan: Reliance Jio's Rs. 21 recharge plan gives 1 GB of high speed internet data with validity of the existing plan. Rs. 51 recharge plan: Jio's Rs. 51 recharge plan gives additional high speed internet data up to 3 GB and is valid till the existing validity of the Jio plan. Rs. 251 recharge plan: Reliance Jio's Rs. 251 recharge plan offers 102 GB of high speed internet data for validity of 51 days.